We have a new 2 floor engineering Library at Kengeri Campus, 4th block. This is an exclusive library for engineering students and is functional from 4thJune 2012. The ground floor of the library is for reference books, periodicals, newspapers, new arrivals etc. The first floor of the library contains stack books, i.e. the books for borrowing. The library rules remain the same and it is open from 8.00 am – 9.00 pm. We have received 5 Christ University Doctoral Thesis this year. The theses are displayed inside the library for reference only. The thesis will be uploaded in University Repository soon. 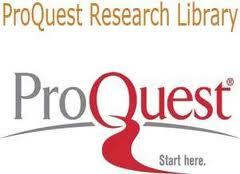 We have subscribed to PROQUEST ABI/INFORM complete package for the academic year 2012 – 2013. ABI/INFORM Complete covers key disciplines such as Accounting, Economics, Finance, Information Technology, Management, Marketing, Operations, Real Estate, Risk Management, Supply Chain etc. We will send you the link to PROQUEST shortly. We have added few more journals to our existing list. Added Wiley Journals for the year 2012 – 2013. The following print journals will be available in CUIM, Kengeri campus library. The journals can be refered online in any campus. We have upgraded our online catalog for search and retrieval of books. For all circulation, you will get SMS on your mobile to ensure transparency for all check-ins and check-outs. However, this is possible only if you have updated/registered your mobile number with us. If not, please visit any of the libraries and update your account. We have added a lot of reference books to our existing collection. All these books are made available on the 6th floor and you can refer them inside the library. Books on science, history, pictorial books etc have been added to the collection in the last 2 months. BookMark is back. This year bookmark will have exhibition of rare and important library reference books displayed for students and teachers. Stalls will be put up for publishers of online databases; you can also avail a training progrmme on using online resources subscribed by the library, plus, new electronic resources available in market. This BookMark will also help you display your creativeness by inviting ‘hobby collection display’ like painting, stamp and coin colletion, t-shirt painting etc etc. We will let you know the dates soon. University dress-code is applicable while visiting library on all occasions. Do not highlight/ mark in library books. You can borrow books from any of the University Library.